Whether they are arriving to campus for the first time or are moving back in, your college student would love to take one of our gift baskets with them! Packed with snacks, treats, and sometimes things to make full meals with, these baskets will fuel study nights and hangouts. Here are three baskets that we think they’ll be happy to share with their friends. This basket is great for freshman who are new to campus or seniors that are trying to get through their last days until graduation. The College Survival Care Package has everything they’d want to snack on while studying for finals or on the go. Pizza is a college staple, so make sure they don’t have to order out one night with either the Dorm Room Pizza Kit or the Pizza & Munchies College Care Package. Just figure out if they have a kitchen to cook a pizza in before sending! Candy is another great thing to have around at college. Send as a pick me up or as a just because to your student. Choose from either the Reese’s College Care Package or the M&M’s Study Feast College Care Package. 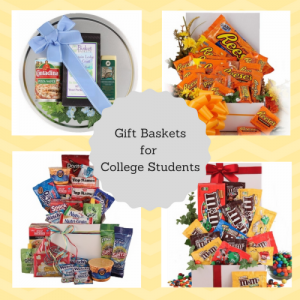 There are plenty of gift baskets that your college student will love! 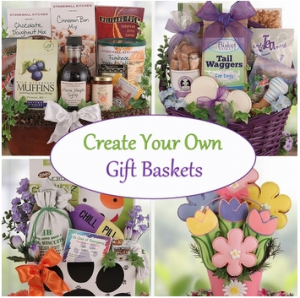 Shop all care packages and college baskets at BisketBaskets.com today. Your college student, and their friends, will thank you for the treats!